Publisher: B & B Books, U.S.A. 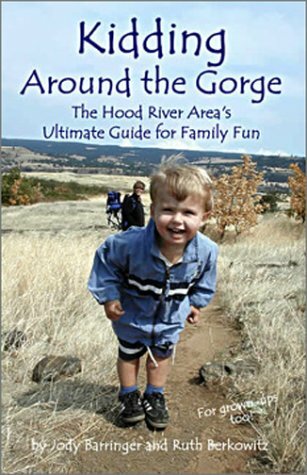 Written by two Hood River moms, Kidding Around the Gorge provides the inside scoop of places to go and things to do with kids. Rain or shine, the Gorge is full of opportunities for fun -- whether you want to hike, windsurf, swim, pick fruit or eat ice cream. The book is organized by activities such as playgrounds, hikes, fruit picking places, kid-friendly restaurants and extreme sports. There are a total of 15 chapters describing more than 150 kid-tested activities and places to go with young children. The activities are mostly in and around Hood River, but there's also information as far west as Multnomah Falls, as far east as Roosevelt Washington and south to Mt. Hood and north to Trout Lake. Although the book is geared for young children, older kids and adults will also enjoy the book.